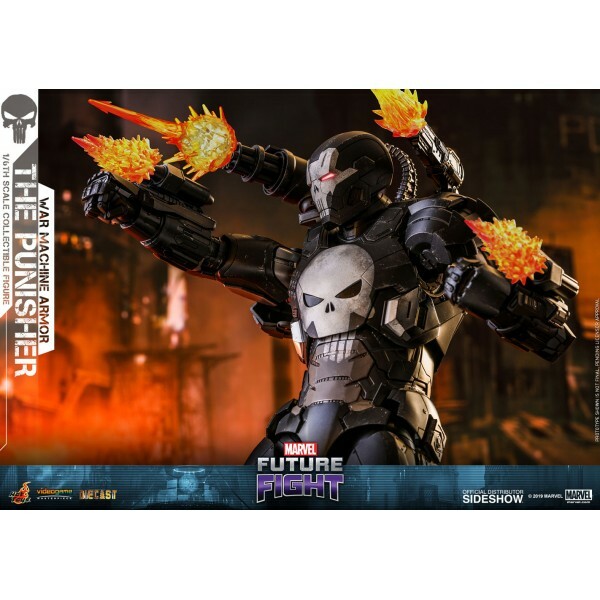 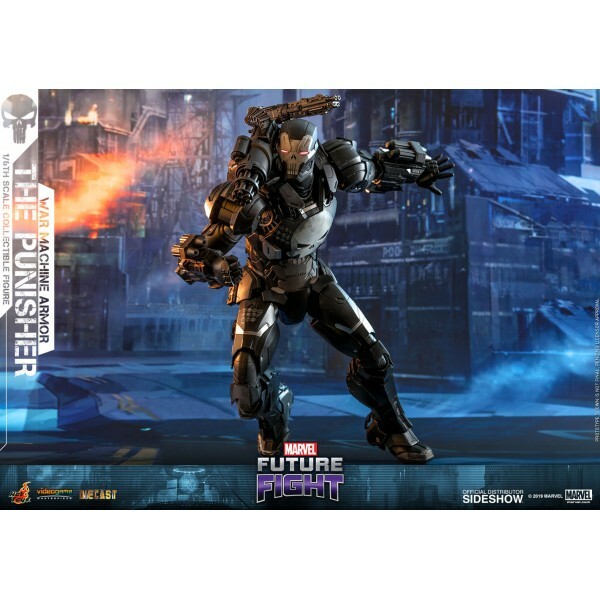 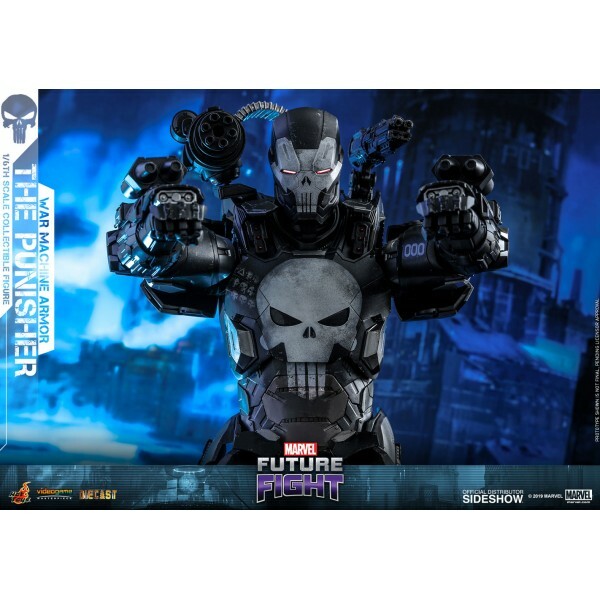 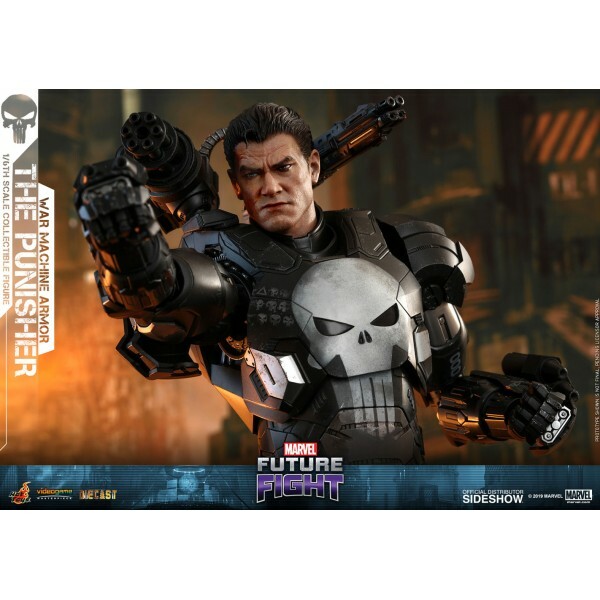 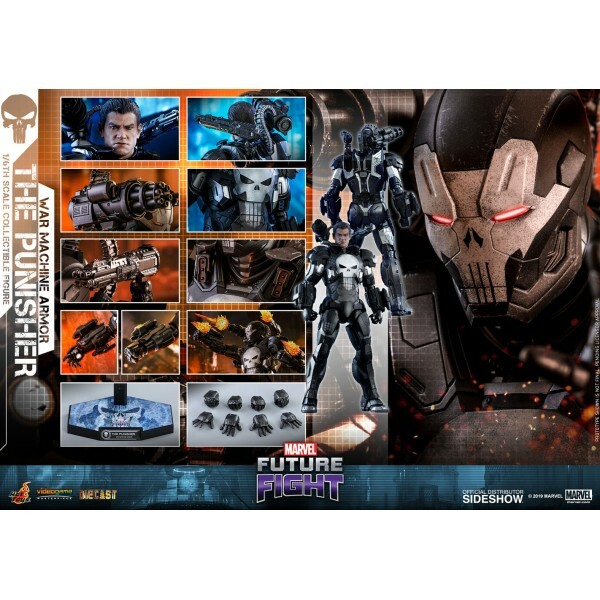 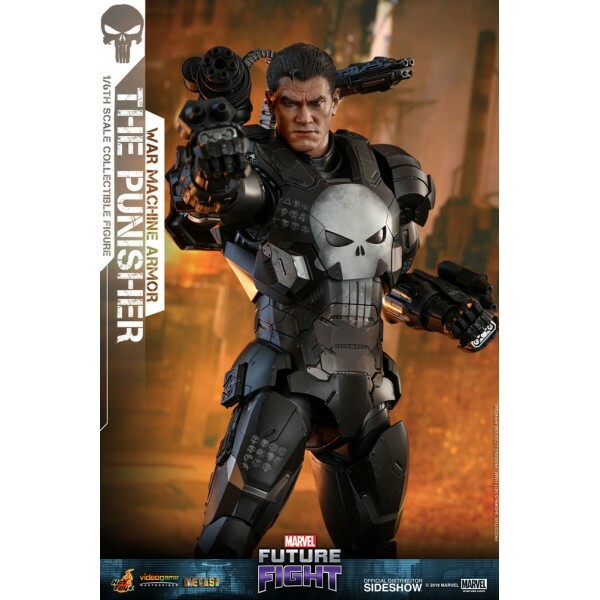 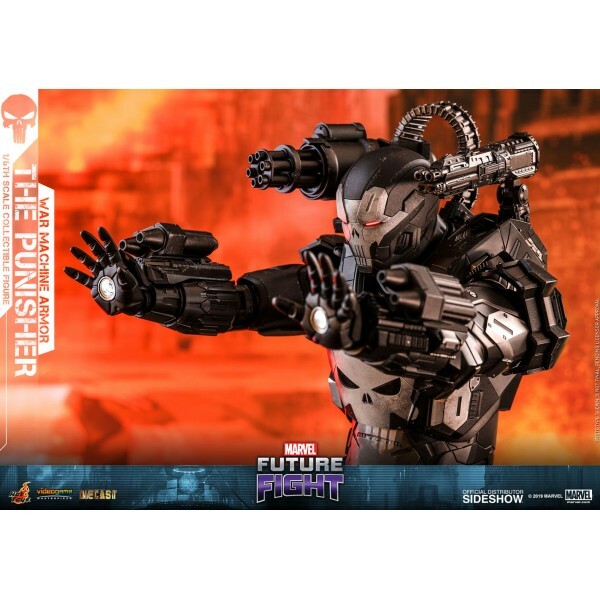 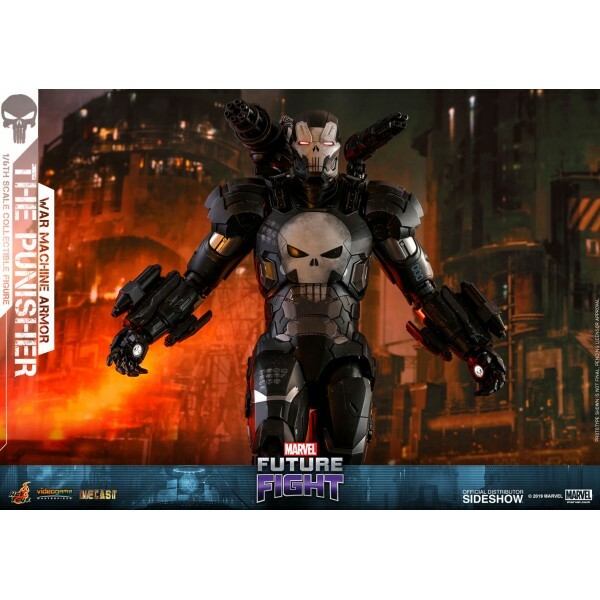 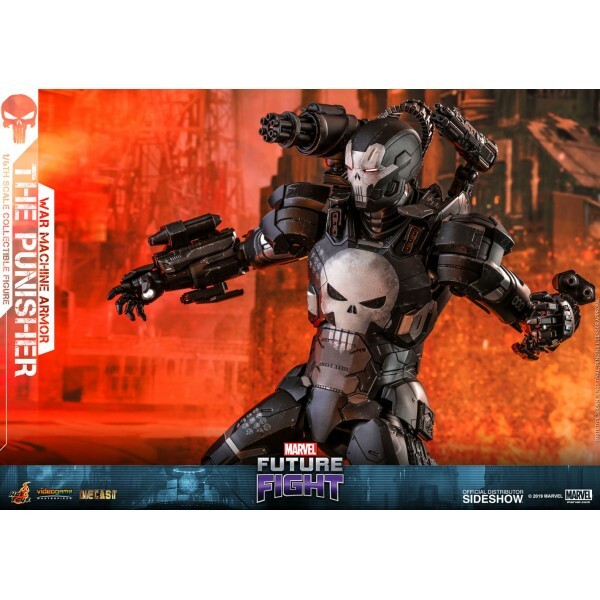 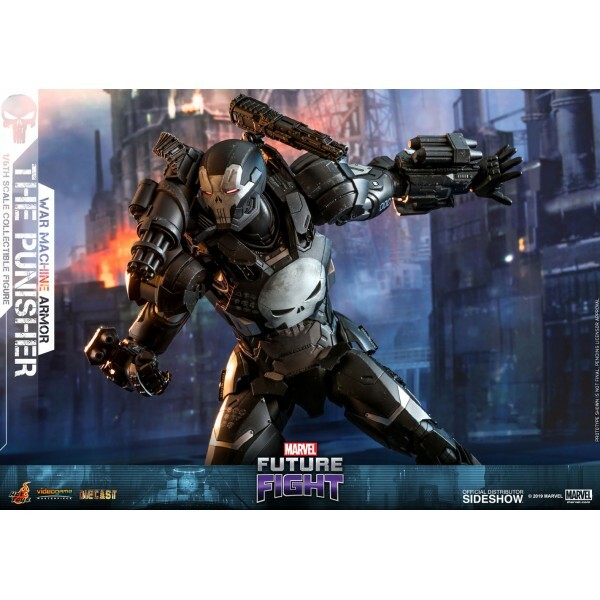 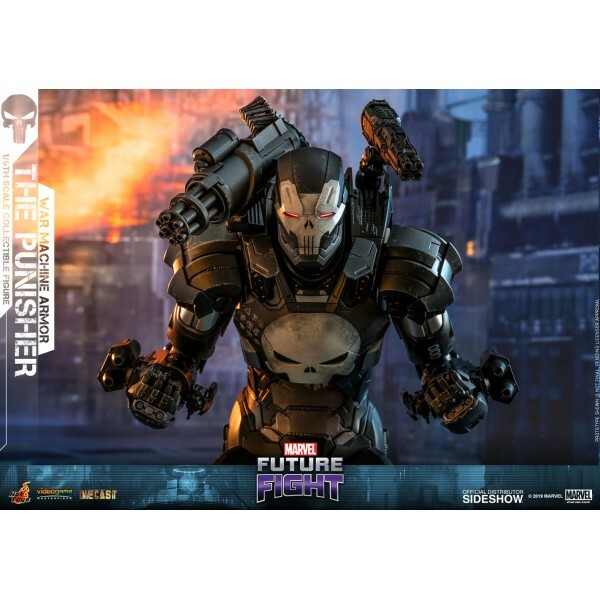 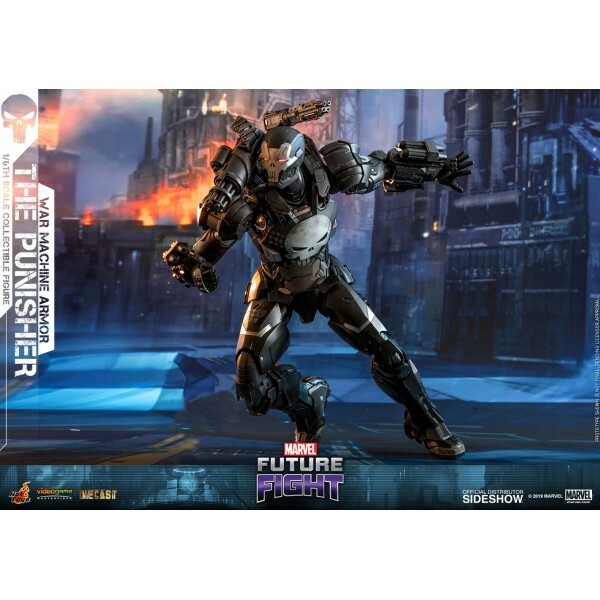 The Punisher Sixth Scale Collectible Figure features a newly developed head sculpt with an interchangeable LED-light up helmeted head, metallic black and silver colored armor with white skull motifs and weathering effects, a mini-shoulder gun and an articulated back-mounted shoulder cannon. 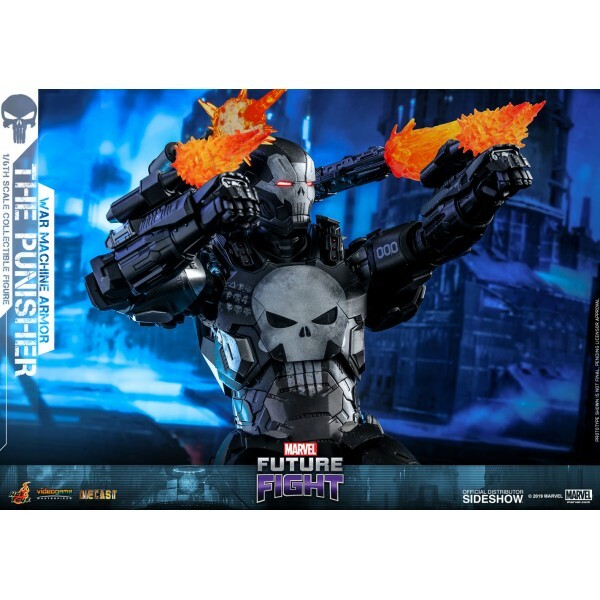 This figure also features attachable thrust fire effect accessories and a specially designed figure stand! 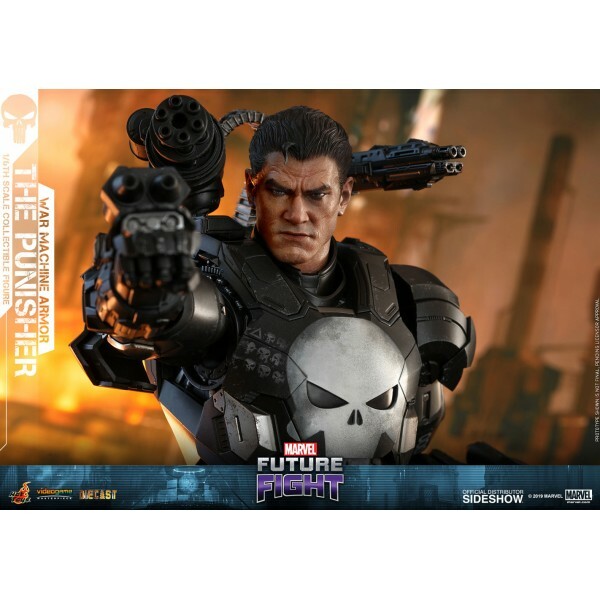 Marvel Future Fight fans, this is a must-have to add to your collection!